Some lovely new books arrived at Craft Arena this week. 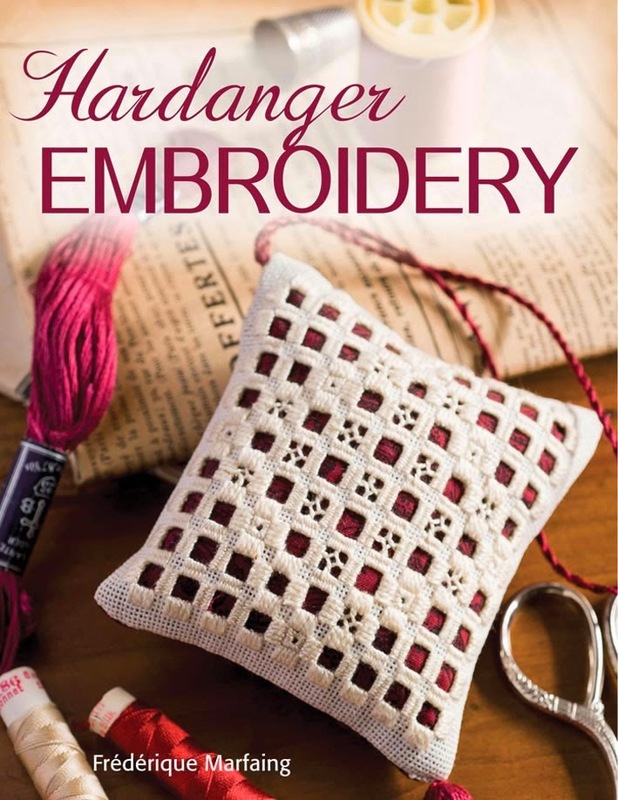 The first to come out of the box today was 'Hardanger Embroidery' by Frederique Marfaing. I'm a sucker for Hardanger. It's one of the first techniques I ever learned; way before cross-stitch; I can remember doing this at school. Hardanger was also the first thing I taught, so I have a soft spot for it. 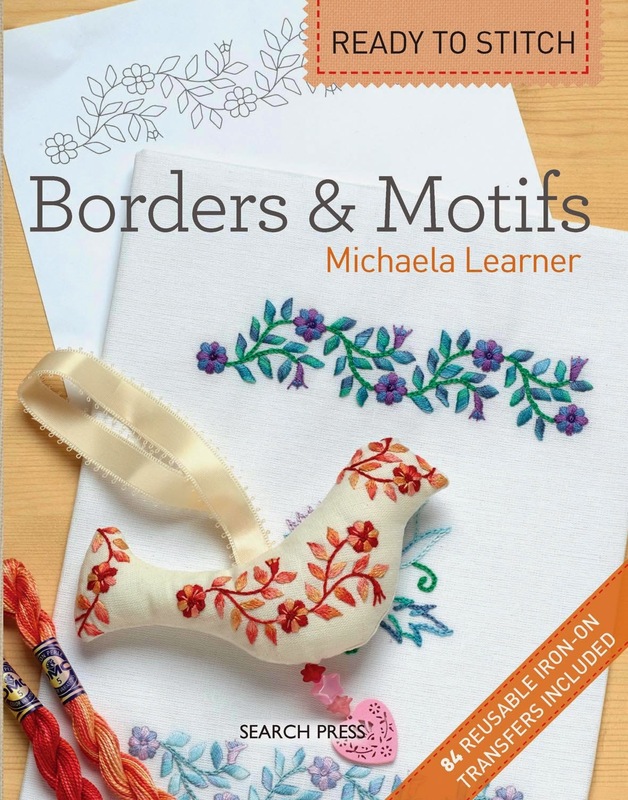 This book has some lovely patterns, with great ideas for using your stitching. I didn't find the stitch diagrams particularly easy to follow, although the descriptions of how to approach the techniques in lesson form seem good. Definitely one for my bookshelf. Don't forget I hold Hardanger classes, so if you fancy trying a new technique, why not get in touch? 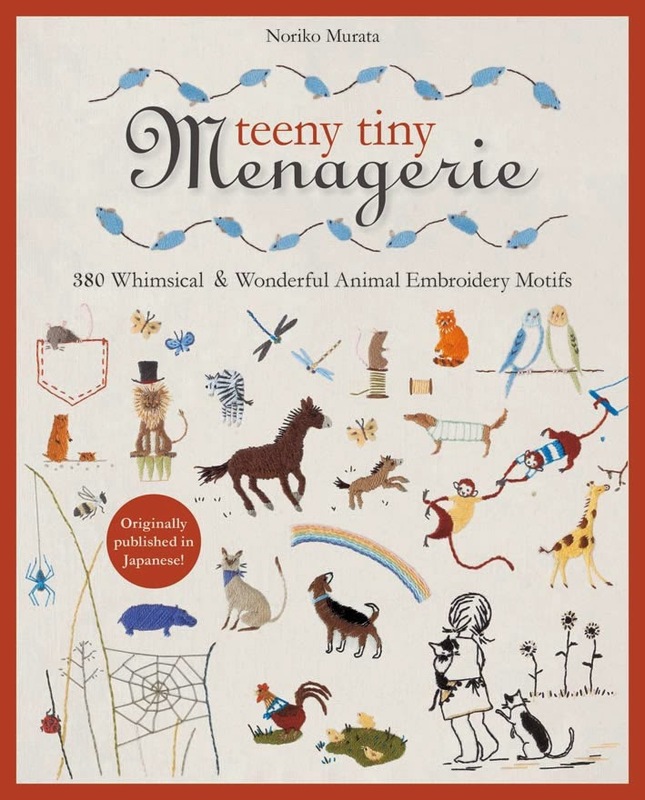 Teeny Tiny Menagerie by Noriko Komurata contains plenty of elements for your stitching. From cows, horses, cats and dogs to lions, giraffes, bugs and birds, this sweet book give you plenty of ideas to add to your designs. This book has arrived at quite a fortuitous time for me as I've been looking for ideas to add to some of my work and has given me much food for thought! 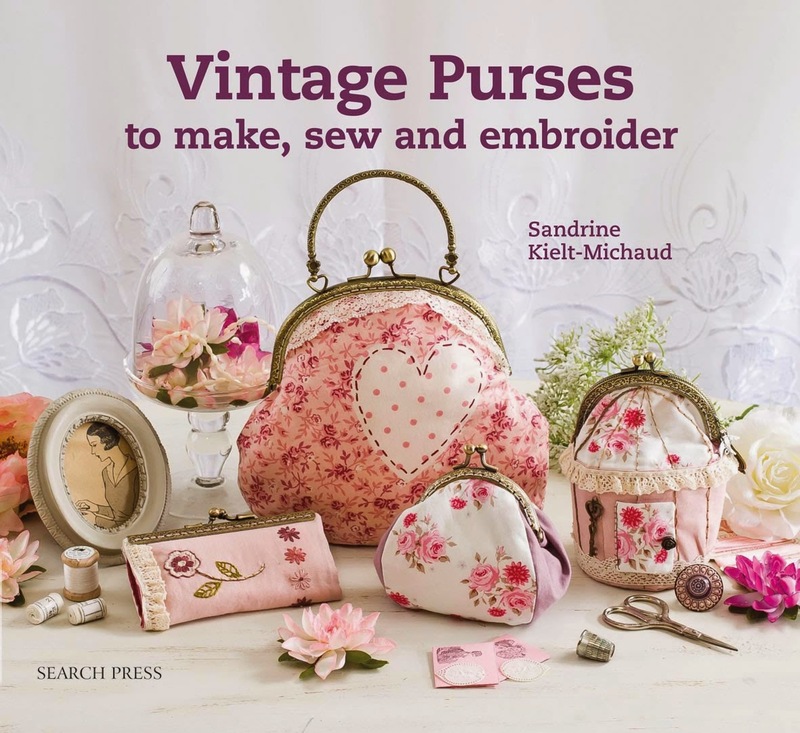 Aimed at slightly different markets, but both with great ideas, Vintage Purses to make, sew and embroider by Sandrine Kielt-Michaud contains some very pretty bags for special occasions which may take a while to construct but will give you something to treasure for years, whilst 30 minute sewing has some slightly quicker projects for every day use. 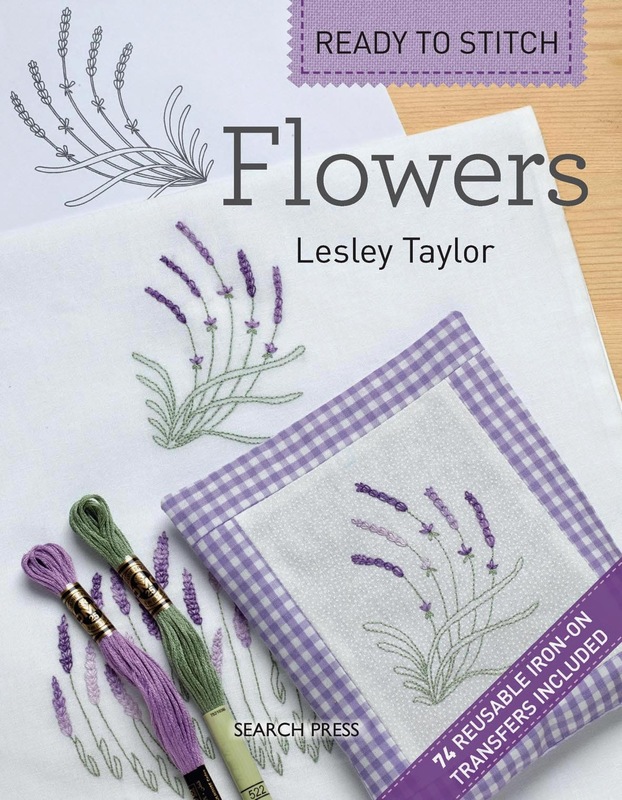 For ages now, people have been asking me for transfer patterns, and now these two books have been published which contain great designs complete with reusable transfer images to iron directly onto your cloth. 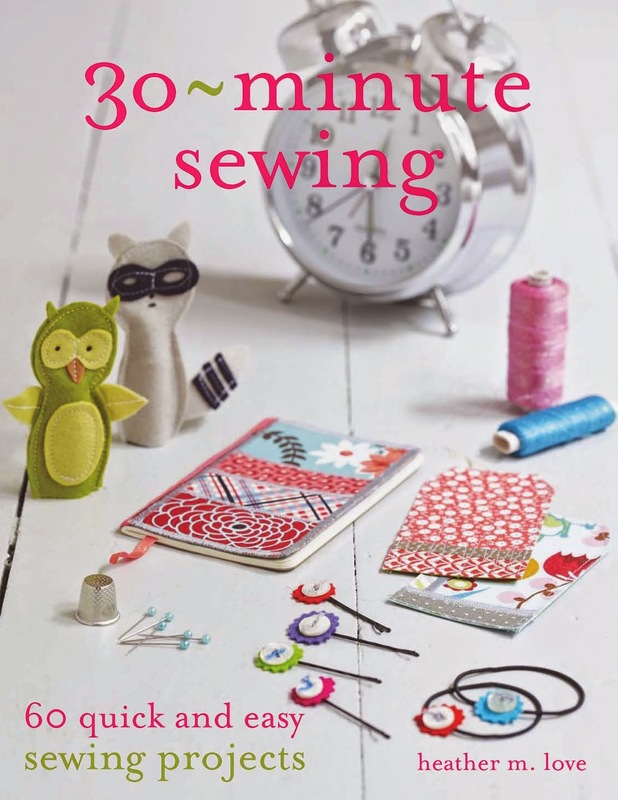 Ideal for all sorts of stitching, these books should prove very popular. Last, but by no means least, those of you who love crochet will appreciate this new book from Search Press. 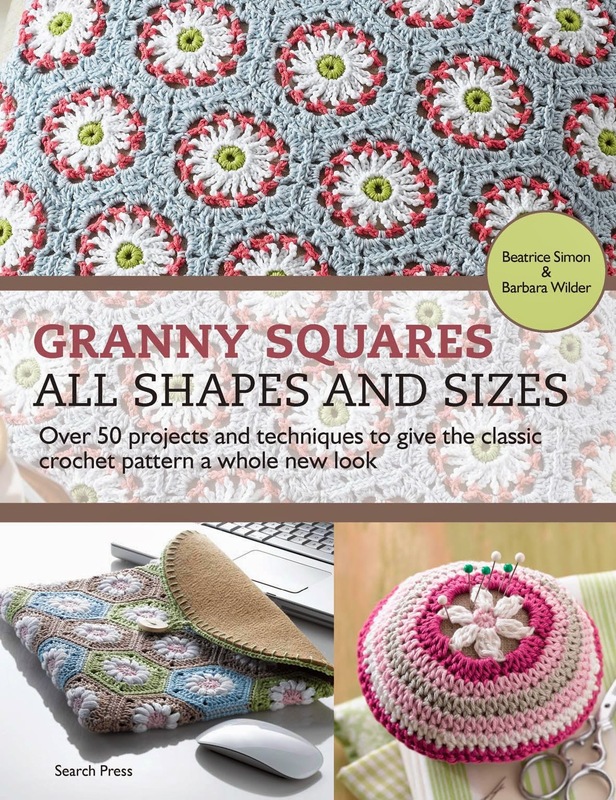 it contains some very pretty projects to make from Granny Squares; from purses to pin cushions through to scarves, cushions and lamp shades. I know a few people who will be snapping this up! I'm off to Search Press HQ tomorrow to take back the books left over from our Knitting event last week. I wonder what books I will be tempted to bring back with me?